It is that time of year when local authorities (LAs) are setting or have set their budgets, which will, of course, include an allocation of funding for schools and SEN support services for Disabled pupils and students. Over the past few weeks we have been asked to support a number of parent-led campaigning groups who are challenging local authorities’ decisions to cut spending on school and SEND support services. It’s not only the cuts we are concerned about, but how existing budgets are increasingly being used to support segregated education. It is great to see local communities coming together to challenge the cuts to education and support services, including inclusive education support for Disabled pupils and students attending mainstream schools. Many of these decisions can still be challenged, so in this briefing the focus will be on what action ALLFIE’s members and supporters can take to promote Disabled pupils’ and students’ rights to mainstream education and how you can get involved. Local authorities are cutting money for schools /and for the support that Disabled children need in school. School and college heads are concerned that the funding cuts will affect Disabled children in mainstream schools. Mainstream schools have less money to help their Disabled pupils. This is because some of the money is being used to pay for special school services and for support for Disabled children with Education, Health and Care Plans (EHCPs). There are lots of campaign groups being set up by parents to fight the school funding cuts. This is a real opportunity for Disabled people to work with families to fight the cuts. Last year the government introduced a new funding formula for how funding should be allocated to different schools. The Dedicated Schools Grant covers funding for schools, early years settings and Disabled pupils and students (including those with SEN) with high needs. More information about funding formulae. The ASCL found that 75% of local authorities have had to move funds out of wider schools budgets to fund the increasing demands of SEN support for Disabled pupils and students. Until now the budget for a number of mainstream schools has been subsidising the Education Health & Care Plan provision of most pupils in special schools. As result, there is less funding in mainstream schools and LA high needs budgets to fund the real cost of supporting Disabled pupils and students in mainstream. The cuts are particularly disadvantaging the 98% of Disabled pupils and students without an Education Health & Care Plan. Concerned by the implementation of SEND reforms, a group of parents of Disabled children have started a Facebook group to organise a national march on Thursday 30th May 2019. The group have agreed a list of issues that affect families with Disabled children and young people across the country. Whilst the Facebook group is parent-led, they do welcome people with different experiences of education, including those who are Disabled. ALLFIE is keen to find ways we can work together to plan the march. Alongside the coordinated national campaign, parents and families with Disabled children and young people are coming together to fight cuts to school and SEN budgets in their local areas. Steve Broach, a barrister specialising in education and child law, has published a blog on how local groups can challenge school funding cuts using legal action, often called a Judicial Review. The law may apply differently in different situations so it is important that families and campaign groups seek legal advice. Here are a few campaigns being mounted by local groups. 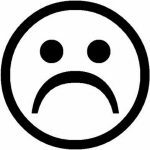 Hackney Special Educational Crisis successfully crowdfunded the cost of a legal challenge to Hackney Council plans to make 5% cuts to Education Health & Care Plan provision from 1st April 2018 with further significant cuts in April 2019. ALLFIE has supported the Hackney campaign by drafting a letter outlining why we believe the proposed SEND cuts are unlawful and are not in the spirit of the local authority’s duty under the 2014 Children and Families Act to promote the presumption of mainstream education. whether the council considered all the relevant information when taking the decision. We have been contacted by this family-led campaign group because they are very concerned about Bradford council plans to create 190 special school placements funded by changes in how the schools and SEN budgets will be spent on education provision. We too are deeply concerned about Bradford Council’s policy to cut inclusive education support services in order to fund segregated education. Clearly any funding decision that not only has the purpose of increasing the bias towards segregated education, but is being funded by cutting mainstream school resources, must be challenged. Government’s obligation to develop an inclusive education system under UNCRPD Article 24. We need to secure some court rulings around local authorities’ obligations to promote inclusive education when considering education funding cuts or other related policies. We are keen to explore with our members and supporters, local campaign groups and lawyers whether legal action is possible against local authorities who are cutting their inclusive education provision despite having a duty to promote the ‘presumption of mainstream education’. How can DPOs get involved? 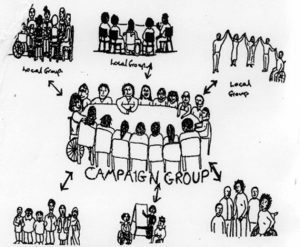 Getting involved in organising the campaign so that Disabled peoples’ voices are heard loud and clear alongside those of parents and other education professionals. Writing a sample letter – see below for what to include in a letter to the local authority. Whilst local campaign groups will be focused on challenging local authority budget decision making processes, what is considered lawful or unlawful will depend on the facts of each individual case. Government’s and LAs’ obligations under Article 7 and 24 of the UN Convention on the Rights of Persons with Disabilities. The government has an obligation to not only promote but fund and develop mainstream schools’ capacity to cater for the needs of a broad range of Disabled pupils and students, including those with SEN. Article 7 and 24 obligations cover local authorities, schools and further and higher education institutions that are publicly funded. LAs’ duties to promote inclusive education under the 2014 Children and Families Act. At the heart of the Children and Families Act there is a “presumption of mainstream education” principle which places a duty on local authorities when organising school placements and support for those placements for all the Disabled pupils and students living in their catchment area. 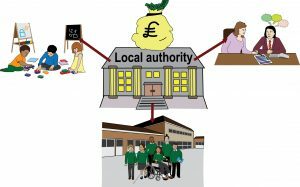 Local Authority duties under the Equality Act 2010.Local authorities, just like other public bodies including schools, further education and higher education institutions, must have due regard to the need to advance equality of opportunity between Disabled and non-disabled people under the Equality Act Public Sector Equality Duty. This is the opportunity to highlight the impact of local budgets cuts on opportunities for Disabled pupils and students to be included in mainstream with all necessary support for learning and participation alongside their non-disabled peers. We really want to hear from you about the negative impact that the SEND funding cuts are having in your local area – so please get in touch!